GAVIN Lang pauses and smiles when asked why he continues driving the width and breadth of the state to climb into the sulky at race meetings. “It gives me a chance to practice my carpool karaoke,” Lang quips. Those who know Lang well will realise he is only half joking given he and his good mate Tom Hogan are known to readily grab the microphone at more than the occasional karaoke bar. 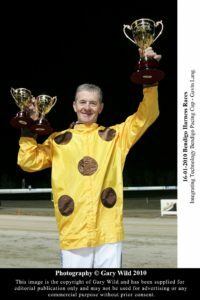 Lang, who recently joined Chris Alford as the only men to drive 6000 winners in Australasia straightens up and reflects on more than 42 years in the sulky. “When you have been doing it for as long as Chris and I and driven for a lot of people you feel a bit obligated to go and drive their horses,” he said. The eldest son of legendary horseman Graeme, Lang was destined for a career behind the reins. “I never had any intention of doing anything else,” he said. The first of Lang’s 6000 winners was aboard Pensive Dream at Kilmore on June 2, 1975 with his first metropolitan success coming almost two years later when he partnered Willrose at the Royal Melbourne Showgrounds. The man who many regard without peer in the sulky hardly burst onto the scene during the fledgling part of his career. “I drove three winners in my first season and about eight in my second season,” he said. Lang concedes mastering the craft of driving in races is far less onerous than it was 40 years ago. “It’s much easier now because there are no running rails, we race on bigger tracks and there aren’t as many tactics in races these days,” he said. Lang reflects on the steep learning curve he endured cutting his teeth during the halcyon days of the 1970s. Lang and his partner of eight years Meagan live at a property on the outskirts of Bacchus Marsh and he is the first to admit it has been difficult to juggle the work life balance of the sport. “It is very demanding,” he said. “We have so many tracks in Victoria and you are on the road a lot and away for long periods of time, so it must have some impact on your personal life. Those close to Lang within the industry believe the man they call ‘The Iceman’ is in a good space. “Whether it’s the fact he has got his health back or that he is happy in his personal life or a combination of both, he is almost a different person,” one source said. Lang is quick to oblige any young driver searching for answers as he or she attempts to carve out a career in the sulky. “The industry has been good to me, I owe everything to it,” he said. “I don’t mind giving advice to anyone who comes up to me. “But the reality is that they have to make mistakes otherwise they will never learn. Lang modestly deflects the inference his considerable success is due to his innate ability to steer a horse better than most. “There have been a lot of other drivers who could do it every bit as well as myself and Chris but they simply haven’t had the opportunities that we have had,” he said. “I was lucky enough to be born into the sport and be surrounded by good people along the way. Eight years ago Lang received a health wake-up call necessitating a stint in hospital. “My temperature went skywards of 40C and I went from 70kgs back to 60kgs. “I came out the other side of that with a different aspect on life,” he said. 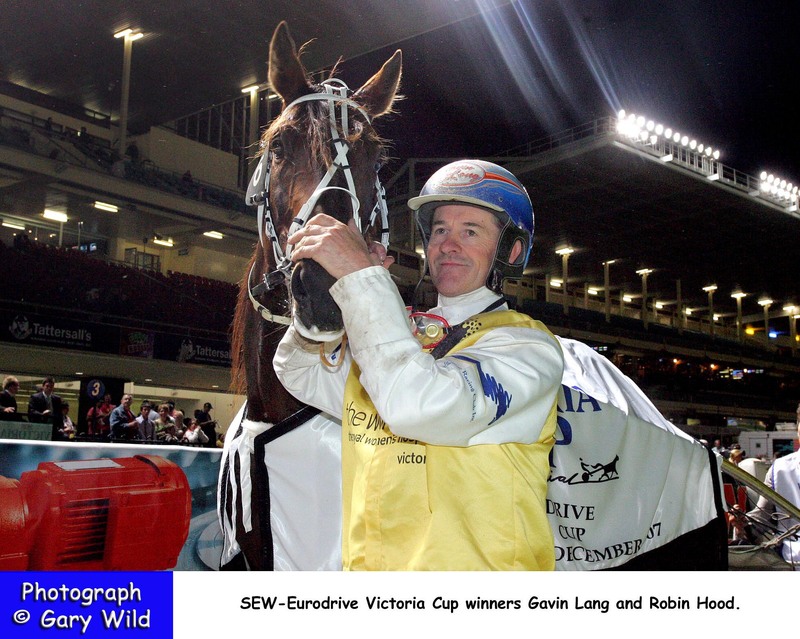 Lang, who is estimated to have unofficially chalked up almost 100 Group One wins in the sulky, recalls the horse which provided him with the impetus to his career, the champion trotter True Roman, who won more races at Moonee Valley than any other horse. “I remember going up to Sebastian trials to drive him as a two- year- old for Graeme Johannesen,” he said. The horse who bubbles just below the surface as Lang’s favorite horse is the grand old warrior Persistency. “Persistency was a crock from his three-year-old season and ended up winning two Group One races as a nine-year-old, including a Kilmore Cup,” he said. Lang says he still gets a buzz out of driving in races. “I still do my form and enjoy competing on the track,” he said. 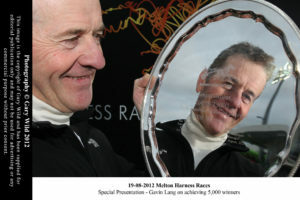 Several days a week the 58-year-old Lang does battle on the racetrack against men and women half his age. “I listen to what the young blokes say in the drivers’ room about officialdom and I think to myself they are wasting their time, but then again I remember back to when I was their age and realise I was probably much the same,” he said. Experience is the great teacher when dealing with stewards, according to Lang. “I had my share of stand-offs and battles with the stewards but I have learnt that they have a job to do just as I have,” he said. Lang muses at the uncanny parallel the careers of the sport’s two most successful reinsmen have taken. “Chris’ father Barry worked for my father and Chris and I went to the same primary school in Romsey, then went to Sunbury High and we both played for the same football club,” he said. The rivalry between the pair ceases the moment they leave the track. “Yes, we are mates,” he said. Lang won’t pinpoint the moment in the future when he will undo the straps on his helmet for the final time. “I’ve been around long enough to see a lot of good drivers come and go,” he said.